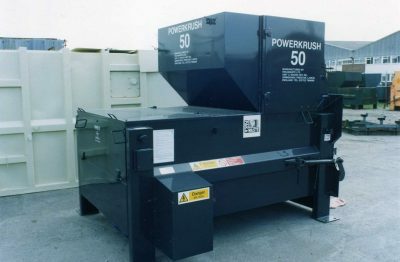 The Powerkrush 50 is the smallest standard static compactor in our range designed to fulfil the requirements of light industry and commerce. It is normally used in conjunction with a 10.9 cubic metre (14 cubic yards) container but can be fitted to a larger container without any modification. For further details on our static compactors, please contact our specialist team today.